Today’s revolting revellers take Halloween costumes seriously – we’re talking make-up, hair dye, and even specialist contact lenses. These can lift your costume to the next level, from cat’s eyes effect to that red-eyed or black horror movie look. But be warned, you could be putting your sight at risk if you think about buying them online, in fancy dress shops or market stalls. Legally, you can only be fitted for contact lenses by a registered optometrist or contact lens optician, who is fully qualified to give you the correct advice and full care instructions. The trouble is, those cheap contact lenses can give you more than just a fright – they can leave you with an actual eye health horror show. 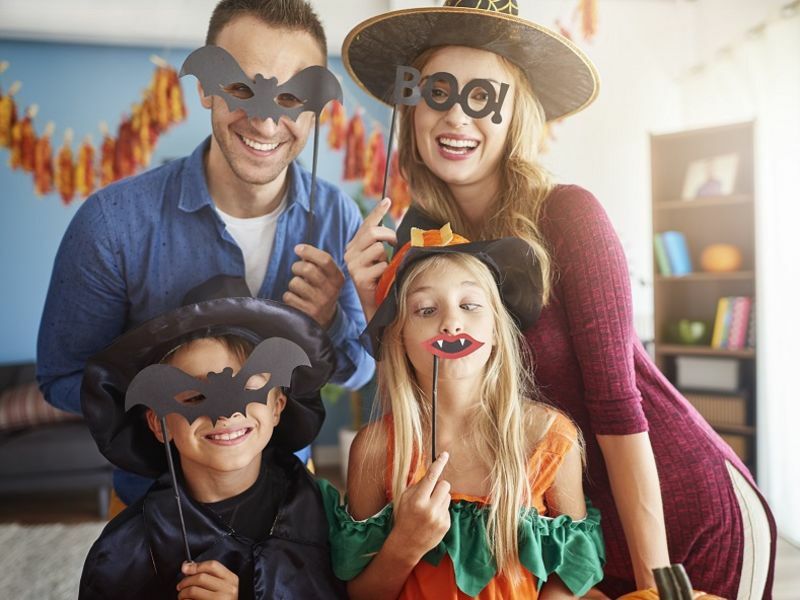 So, to ensure the only shocks you experience are at the party and not after it, here’s our guide to staying safe throughout the Halloween party season. Just because costume lenses are a novelty doesn’t mean the usual rules don’t apply. You must always follow your instructions, only handle your lenses after washing and drying your hands and rigidly stick to the recommended cleaning routine to ensure you stay free from bloodcurdling bloodshot eyes, and other nasty side effects. Water must never be used with your lenses, as it has bacteria which can lead to infections. And, fun as it might seem after indulging in the Halloween party punch bowl a few too many times, never share your lenses around. Bacteria and other infections can cause very serious and sight threatening infections. We’ve all been there – after a long night of excess, the comforting embrace of bed is just too hard to resist. Before you head off to the land of dreams (or, should that be nightmares), you must always remember to take your contacts out. Always speak to an expert optometrist or contact lens opticians to find the right lenses for you. Costume contacts may be a disposable frivolity, but you will want to keep your sight for life. If your contact lens subscription is older than a poltergeist, get in touch with your local Leightons team today on 0800 40 20 20. We’ll book you in for an appointment, give you the eye care advice you need and help you avoid any shocking ocular outcomes… stay safe this Halloween!